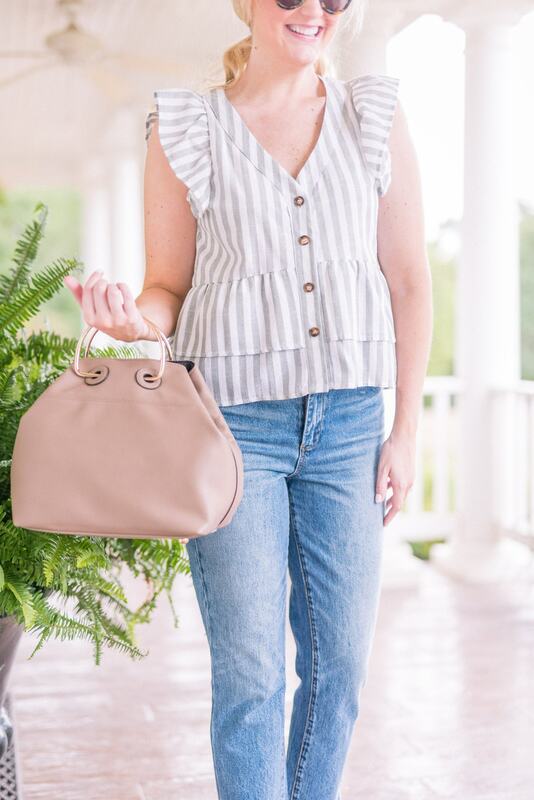 Every fall, I love to find a new great handbag that will go with a majority of wardrobe! 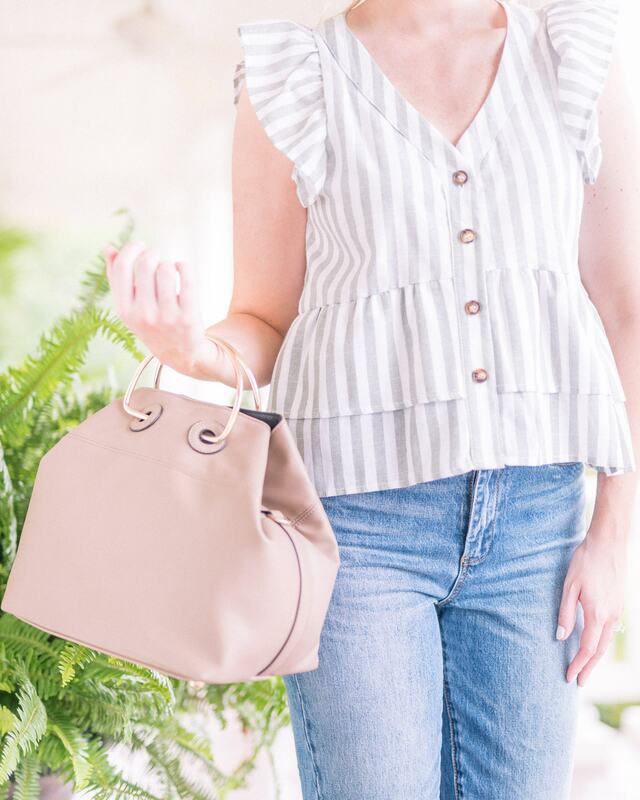 This year, it was this bag I scored on the Nordstrom Anniversary Sale! It’s a perfect taupe color and has pretty gold handles. I also love the large size for toting around all my "mom" items! 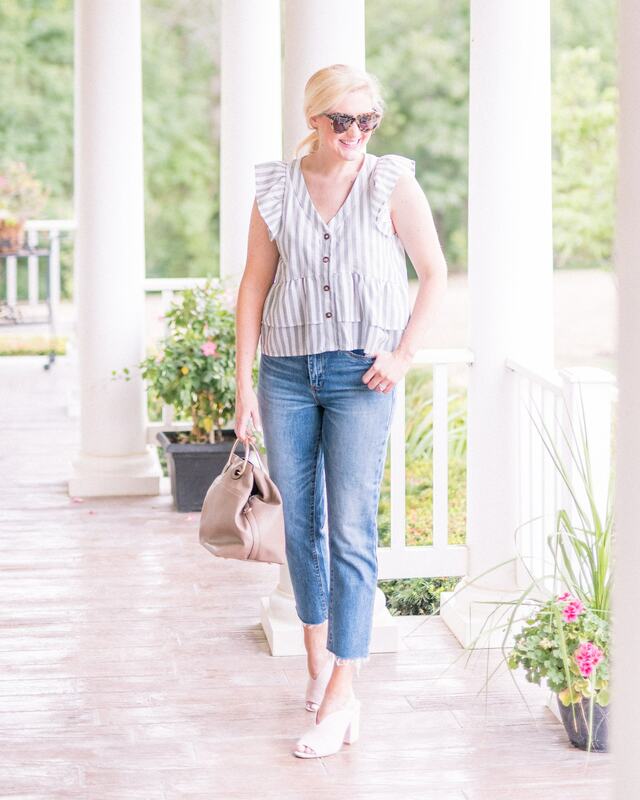 If you’ve looked at my Instagram lately, I’ve paired it with so many items – dresses, jeans, casual attire (so many options)! I always look for versatility in a handbag! I also love that you can carry it with the handle or there is also a long strap that comes with it. 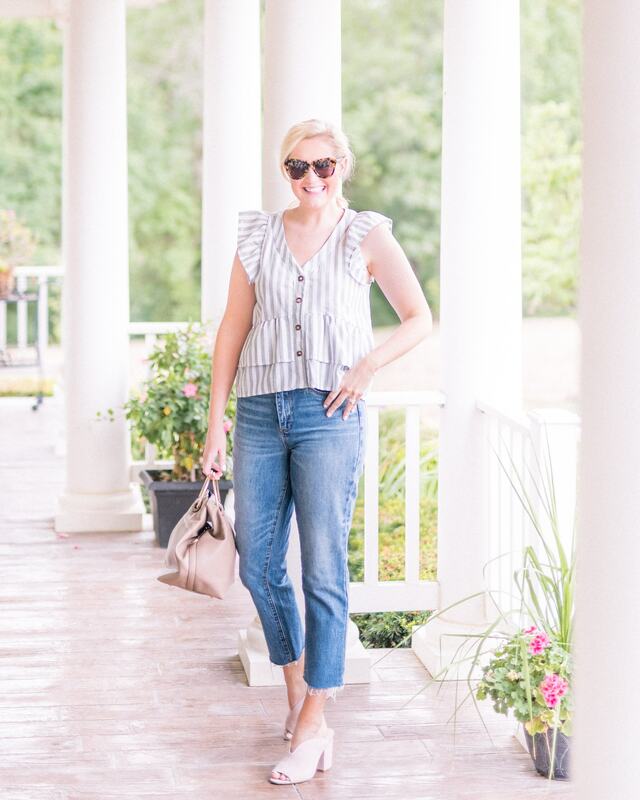 I’m also loving this top for Fall. It comes in SO ma different colors and the ruffle sleeves are so flattering! I usually wear a size medium, but I sized up to a large in this one because I didn’t want it to run too short!